Google Glass: Nerdy Gadget or Fashion Accessory? 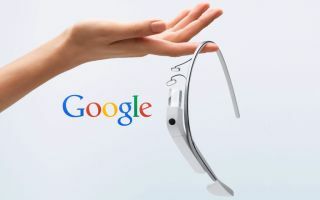 Google Glass emerged like a futuristic game-changer in April of 2014. Wearers walk with strange gadgets on their faces — just like actual glasses — and communicate with their face-computer with basic, natural commands. What a joke — you say! These glasses display information like a sort of smart phone on the screens, allowing wearers to look up information, take pictures, or download directions — with no hands. A slight tap on the side of the glass further allows more utilization. For example, sliding “backwards” command allows users to see current, real-time events. They can view the traffic situation or the current weather. A swipe “forward” shows the past events: phone calls made, photographs taken, etc. Despite some current objections from confused spectators — people who think that constant “hidden cameras” are quite dangerous and obtrusive — Google Glass has been seen as one of the premier new technologies of the decade. It has been named one of the best inventions of the past few years. And it is, truly, changing the ways in which people operate their lives. Current Google Glass designs are modern-looking, like a new-age Star Trek model. However, most recently, Google has partnered with an Italian eyewear company Luxottica that owns fashion-forward brands like Ray-Ban and Oakley. Most definitely, they’ll have the ability to supercharge Google Glass into the fashion world. But does it belong there? There is, of course, the issue of ‘nerd’-ism. Current years have brought an upswing of wearing glasses for simple joy of — well, looking like a nerd or hipster for the sake of it. Past decades of the nickname “four eyes” have flipped on their head, allowing these same four-eyed people to be the true fashion-forward folks in the greater, cultural landscape. Celebrities like Victoria Beckham, Ryan Gosling, and Brad Pitt all don thick-rimmed glasses — appearing literary, smart, and, of course, fashionable. Some of these four-eyed people from grade school grew up to create Google Glass — that much is for certain. And they’ve produced something that, at least pre-relationship with Luxottica, makes people look like super-nerds — not chic. Sure, Google Glass is proclaimed as the next big thing of the future. But can people really assimilate it into their lives if it, essentially, makes them look like big robot-speaking morons? After all — people avoid tons of things because that thing might make them look like idiots. For example, men might agree that a Prius would be better for the environment, would be better for their gas-saving endeavours. Except for one thing: these same men might feel that a Prius isn’t masculine enough to be a car they would own. They’d be better off with a truck, thank you very much. Regardless of anything’s benefits, if it doesn’t make us look cool — we don’t want anything to do with it. Therefore, how will Google Glass assimilate into the regular-wearing world without its fashionable uptake? We suppose their recent partnership with Luxottica will help. However, it won’t take them far if they don’t find fashionable nerds wearing them. Horn-rimmed, thick-frame glasses jumped back into style with the surge of celebrities — like Brad Pitt and Victoria Beckham. But with Google Glass still living in the realm of ugly, the future doesn’t look bright. Designer Diane von Furstenberg, however, has recently brought her talents and purpose to the Google Glass community. In the 70s, she nearly single-handedly matched the wrap dress with women’s liberation — thus proclaiming her stance as an able-bodied woman who knows what should be hip. Von Furstenberg’s glasses range from classic cat-eye frames to 80s aviators. 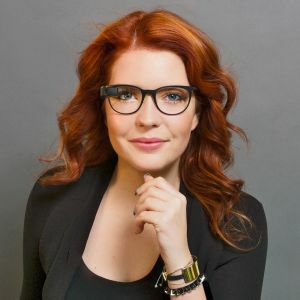 Starting in June 2014, she began offering her specs with the Google Glass inclusion, thus bringing a few shades from nerdy to luxurious. 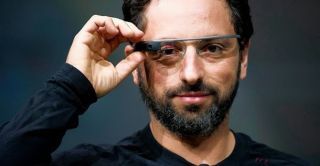 When asked about Google Glass, von Furstenberg said that it seems like a natural extension of the various other technologies currently on the market. We’ve extended the simple flip phone to an all-out computer; and for the people who have been wearing glasses their entire lives — like Diane herself — Google Glass is simply another level of utilization. She further adds that wearing Google Glass and looking “up” to find information instead of “down” at your phone is empowering. Slouching to look at your phone promotes negativity, while standing straight up allows you an intimate feeling of positivity — which is, in a sense, infinitely fashionable. Despite its struggle to burst into the regular-use, fashionable world, Google Glass is finding its way. For example, The Atletico Madrid assistant coach, German Burgos, wore Google Glass during his team’s 2-0 win against Getafe. He received current statistics through his gadget and was able to make better play decisions. 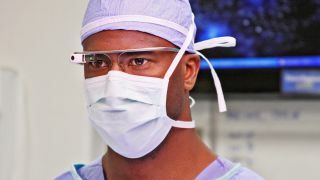 Furthermore, young children at the Children’s Memorial Hermann Hospital in Houston were able to utilize the Google Glass to take a tour of the local zoo. With the vision directly in their eyes, they could imagine themselves more readily in the zoo landscape. Regardless of your stance on Google Glass, it seems it’s finding its way into the future — both on the nerd fashion side and the technological, life-enhancement spheres. Time will tell. This entry was posted in Nerd Glasses Frames by Nerd Glasses Fashion.